A Virginia mother is begging CPS to change their procedures and investigate more after her 9-year-old son was nearly beaten to death. Brown told WUSA9 she’s been fighting for custody of her son Elijah for about two years and last year, had Elijah’s father, 37-year-old Thomas Jennings Jr., investigated after she found scars and bruises on Elijah’s back. She said there was an open case, but they didn’t actually meet with a Child Protective Services case worker until the day of a custody hearing. She also said Elijah wasn’t forthcoming at the time. “It’s been a struggle to get someone to believe us,” said Brown. Brown said Elijah did eventually reveal information to doctors, so she tried again. She showed WUSA9 an email sent to Stafford County CPS in June 2015 making a plea to the department to reopen the case and describes not being able to reach an investigator. Brown believes Jennings’ military background and steady job as well as her decision to go back to school impacted the case. May 17, 2016 is when Spotsylvania County Sherif Deputies say Jennings brought Elijah to the hospital unresponsive and admitted to striking Elijah. Doctors discovered a ruptured spleen among other injuries. Medical staff performed CPS for more than 30 minutes to revive Elijah. “I’m hoping somebody, somewhere, either in CPS with other counties or throughout the nation could just learn that it takes more than just one time to sit with them. Children need time to open up,” she said. A local department of social services is required to respond to all valid reports of child abuse and neglect by either conducting an investigation or a family assessment. A safety assessment is done and a safety plan is put in place, if needed. The worker is required to interview and/ or observe the victim child, interview and/observe minor siblings residing in the home, interview the caretakers, observe the environment where the alleged abuse/neglect took place, and to interview collateral contacts who may have pertinent information. Once this information/evidence is gathered, if an investigation was conducted, the worker makes a determination if the case is founded or unfounded based on a preponderance of the evidence. Once a finding is made, the case cannot be re-opened or re-investigated. A new investigation can be initiated, if there is a new incident. 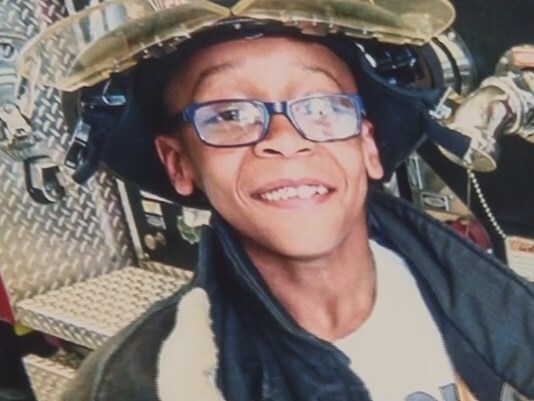 Court documents obtained say Elijah was “deceased when brought to the hospital [on Wednesday] and was revived after 45 minutes of CPR.”, a Spotsylvania County Sheriff's Office Spokesperson told WUSA9. The boy was expected to undergo surgery during the day. The child’s father, 37-year-old Thomas Jennings Jr., is charged with malicious wounding and felony child abuse of his 9-year-old son. Investigators say Elijah lives with his father at their Spotsylvania home, but neighbors tell WUSA 9 they hardly saw him what they described as a kid-friendly area. “The only sign that I could even tell was that the little boy was never outside. Unless he was going from the house to the car or the house to the trash can,” said Deana Bunch. Another neighbor, Don Elliott said he didn’t even think the child lived at the home. “When I did see him, it was weekends,” Elliott said. 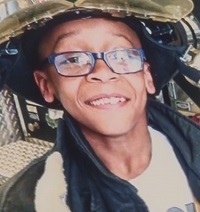 On May 18, investigators say the sheriff’s office was contacted by Mary Washington Hospital’s Emergency Room advising a 9-year-old was brought in unresponsive with severe markings on his back that appeared to be from “an extension cord or belt.” Elijah was flown to VCU Hospital in Richmond where was revived and continues to be treated. Court Documents said doctors at the hospital found bruising on Elijah’s body and a ruptured spleen. Those documents also say investigators found a brown leather belt, an electrical cord and a broken belt in and on the door-knob of the 9-year-old’s bedroom after executing a search warrant. According to investigators, Jennings admitted to hitting the child in the past with an extension cord. Sheriff's deputies say Jennings was investigated in 2015 for Physical Abuse and that Elijah appeared to have scars from previous beatings, but did not provide additional details. The mother of the 9-year-old told detectives she only had visitation with Elijah and that he was fearful of returning home last week, according to the Affidavit. Just before 4 p.m. a spokesperson with VCU Hospital in Richmond said Elijah was in good condition. A Commonwealth's Attorney tells WUSA9 Jennings has been arraigned on charges and is due in court again on July 6. No one answered at the Spotsylvania home and no other family members could be reached on Wednesday.